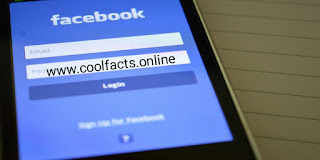 Latest FB news 2019 - Tech Fact - COOL FACTS | the knowledgeable cool Facts site. We know facebook is word's most popular brands and also social media site but last year we will get some FB NEWS. In this article. In the past, many of the most popular social media 'Facebook' have been accused. Private information was leaked and some other allegations included this. In this regard, Facebook founder Mark Zuckerberg had to face American Senator's questions. Facebook gave the assurance that it will not repeat the mistake; But even then, there is a house of doubt in the minds of people about Facebook. Meanwhile, there are signs that Facebook will be bad for 2019 years. There is a possibility of cracking down on Facebook in the next 12 months. Ireland's data protection committee said in December that investigations against Facebook are underway. Many countries have said that user information on Facebook is not secure. CAT Collery of the International Association of Privacy Practitioners (IPP), said that there will be alternatives to prevent such confusion. The European Union's General Data Protection Regulation (GDPR) said that if the company is wrong, then 4 percent of its global earnings will be recovered as a fine. If there is a penal action in such a way, then the $ 150 million backlog can fall to Facebook. Along with Ireland's research committee, the US Federal Trade Committee (FCT) is also investigating Facebook in a 2011 case.